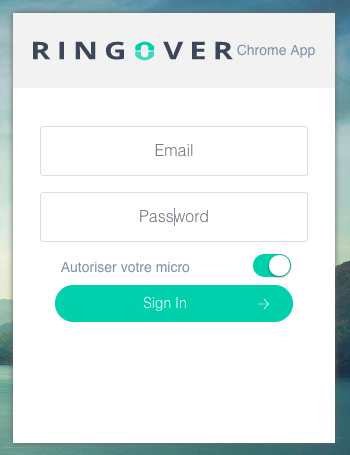 - You need a RingOver Business account to take advantage of this integration. - Each user can activate or deactivate the Pipedrive integration at any time from their settings. 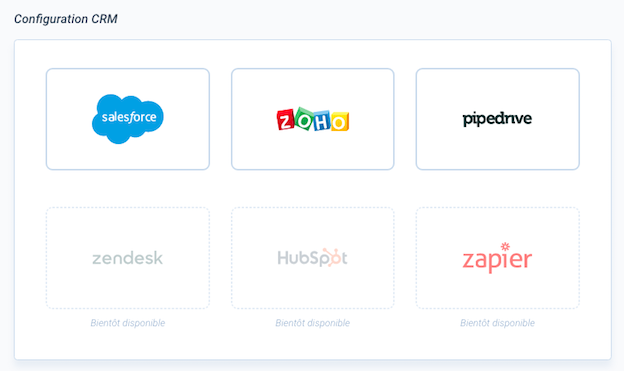 in the Integrations section, click on the Pipedrive logo. 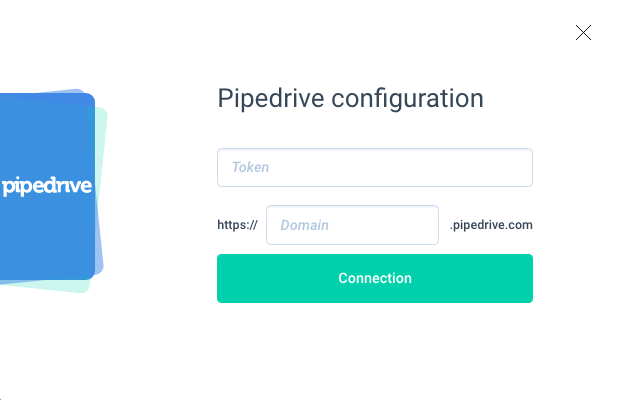 A Pipedrive connection window will appear, asking you to enter a token. 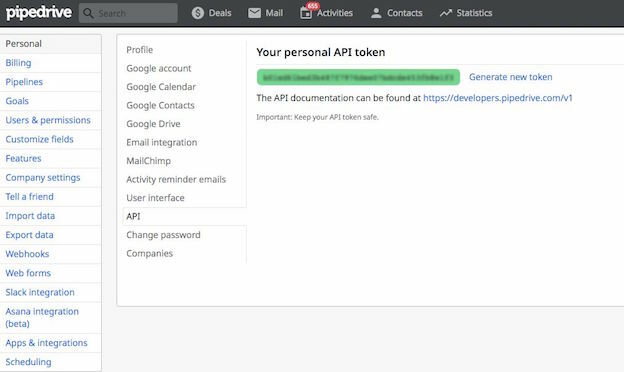 In Pipedrive, go to your Settings, then the Personal section under API. Return to the Myringover window and paste the value of the API token. 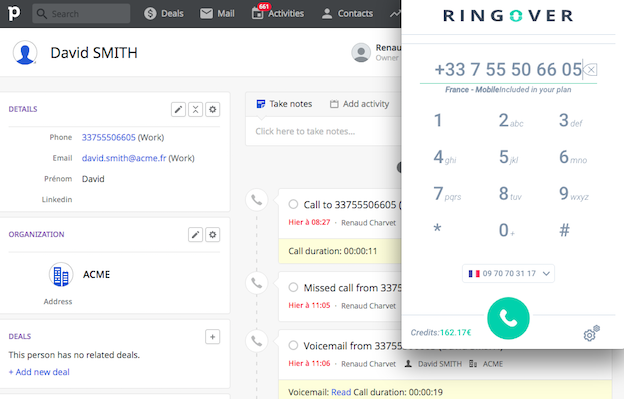 You can now make and receive calls from Pipedrive through your web browser, smartphone app or SIP phone. 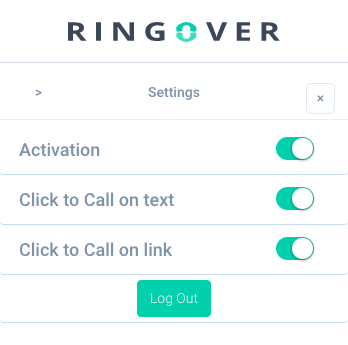 Your call logs, voicemails and recorded conversations will be automatically added in Pipedrive. Note: only an administrator can make this modification. It will be useful for all team members. modify the value in the field as follow: web+ringover:[number]. 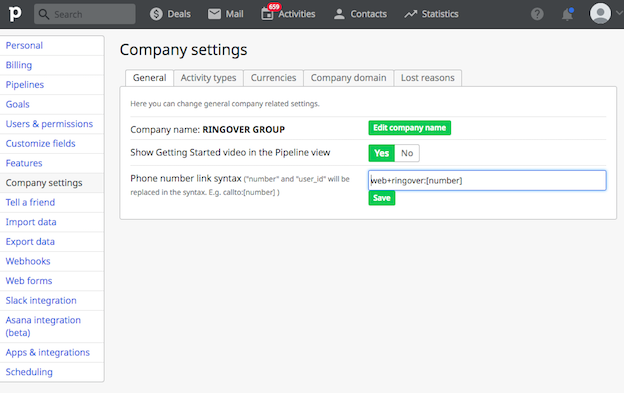 Now all you need to do is click on a phone number in Pipedrive to make a call. That’s it! Your integration is complete.